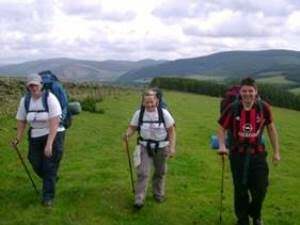 British Gas have been a proud supporter of The Duke of Edinburgh’s Award Charity since 2007 and offer their young apprenticeship employees the opportunity to do their Gold DofE. We aim to attract the best and brightest, and to retain them by providing a positive working environment. In addition to our contact centre colleagues, we directly employ more than 7,000 engineers who carry out our servicing and breakdown services for over 3.4 million British Gas customers. There are a huge range of roles across British Gas from Strategy and Pricing to Innovation and Finance. Our engineering apprentices from British Gas Energy Academies and customer services’ apprentices have the opportunity to grow and develop with us through doing their Gold Duke of Edinburgh’s Award. The DofE enables you to gain core competencies that will benefit your career immediately and develops you as a leader of tomorrow. 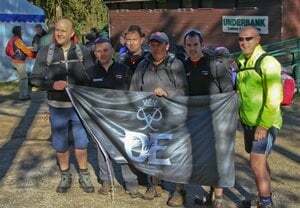 Since our partnership started with the DofE an amazing 2,000 young people from across the business have completed their DofE programmes. You will have heard of British Gas, but we hope the following pages will open your eyes and inspire you to the exciting career opportunities which exist across our organisation. We have lots of young staff in our team and you can find out more about them and their roles.